These titles were recently acquired by the O'Quinn Law Library. Previous editions of the New Books List may be found in the archive. Jonathan Band, Masanobu Katoh. 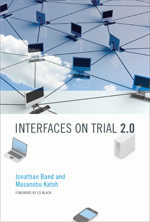 Interfaces on trial 2.0. MIT Press, c2011. We live in an interoperable world. Computer hardware and software products from different manufacturers can exchange data within local networks and around the world using the Internet. This book investigates an often overlooked factor in the development of today’s interoperability: the evolution of copyright law. Because software is copyrightable, copyright law determines the rules for competition in the information technology industry. The authors examine the debates surrounding the use of copyright law to prevent competition and interoperability in the global software industry in the last fifteen years. Michael A. Genovese. 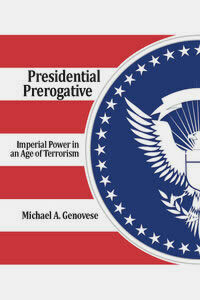 Presidential prerogative : imperial power in an age of terrorism. Stanford University Press, c2011. This work examines the evolution of claims of independent executive power by exploring the roots and development of executive prerogative in America. The author traces the concept back to its British use and the theories that animated prerogative in England, as well as whether prerogative was "Americanized" by the founders. He further explores where one might find constitutional or legal support for prerogative, how the concept and practice of prerogative has evolved over time, the extent to which the Bush presidency mirrors or departs from previous examples of presidential prerogative, and finally, whether "necessity" is a legitimate reason to adopt prerogative. Stephen Fishman. Working for yourself : law & taxes for independent contractors, freelancers & consultants. 8th ed. Nolo, 2011. Civil procedure : core concepts and key questions / edited by T.Leigh Hearn. 2nd ed. Kaplan, Inc., 2009. John Finnis. Human rights and common good. Oxford University Press, 2011. Law in many societies : a reader / edited by Lawrence M. Friedman, Rogelio Perez-Perdomo, Manuel A. Gomez. Stanford Law Books, 2011. Data breach and encryption handbook / edited by Lucy Thomson. American Bar Association, Section of Science & Technology Law, 2011. Bruce P. Bower. Guardianship issues in probate and family law courts. The Bar, c1998. Norma Levine Trusch. Collaborative law 101 course, 2011. State Bar of Texas, c2011. A practitioner's guide to protecting the clients' homestead : the intersection of bankruptcy law, foreclosure law, eviction law, family law, and mortgage law. South Texas College of Law, 2011. Copyright and cultural heritage : preservation and access to works in a digital world / edited by Estelle Derclaye. Edward Elgar, c2010. Mary LaFrance. Copyright law in a nutshell. 2nd ed. West, c2011. Lawrence M. Siegel. The complete IEP guide : how to advocate for your special ed child. 7th ed. Nolo, 2011. Scott D. Deatherage. Carbon trading law and practice. Oxford University Press, c2011. Justin J. Wert. Habeas corpus in America : the politics of individual rights. University Press of Kansas, 2011. Immigrant Legal Resource Center. A guide for immigration advocates. 17th ed. Immigrant Legal Resource Center, c2010. Peter Groves. A dictionary of intellectual property law. MA Edward Elgar, c2011. Alexander I. Poltorak, Paul J. Lerner. Essentials of intellectual property : law, economics, and strategy. 2nd ed. Wiley, c2011. Chittharanjan F. Amerasinghe. International arbitral jurisdiction. Martinus Nijhoff Publishers, 2011. Jacqueline Lipton. Internet domain names, trademarks and free speech. Edward Elgar, c2010. John Finnis. Intention and identity. Oxford University Press, 2011. John Finnis. Philosophy of law. Oxford University Press, 2011. John Finnis. Reason in action. Oxford University Press, 2011. John Finnis. Religion and public reasons. Oxford University Press, 2011. Joseph Michael Reagle Jr. Good faith collaboration : the culture of Wikipedia. MIT Press, 2010. Susan T. Phillips, Nancy P. Johnson. Legal research exercises : following the Bluebook: a uniform system of citation. 11th ed. West, c2011. National Petroleum Council, Committee on Global Oil and Gas. Hard truths : facing the hard truths about energy : a comprehensive view to 2030 of global oil and natural gas. National Petroleum Council, 2007. John Schlicher. Settlement of patent litigation and disputes. Section of Intellectual Property Law, American Bar Association, c2011. Stephanie L. Kimbro. Virtual law practice : how to deliver legal services online. ABA, Law Practice Management Section, c2010. John Makdisi, Daniel B. Bogart. Estates in land and future interests : problems and answers. 5th ed. Aspen Publishers, c2008. David Ball. David Ball on damages. 3rd ed. National Institute for Trial Advocacy, c2011. Guide to research in federal judicial history / Federal Judicial Center, Federal Judicial History Office, 2010. Federal debt and interest costs. Congressional Budget Office, 2010. Congressional Oversight Panel November oversight report : examining the consequences of mortgage irregularities for financial stability and foreclosure mitigation. U.S. G.P.O., 2010.